HAIDER movie is slow paced but still grips you to the screenplay. As much as it drags along it still kee ps you considered in wanting to know more at times. Vishal Bhardwaj emulates the portrayal of Hamlet, Shahid is seen carrying different sides of emotions throughout this film. 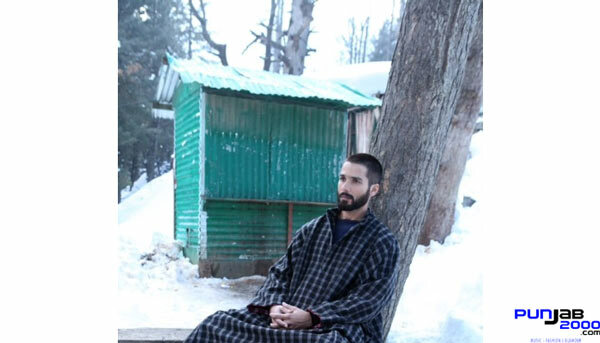 Shahid Kapoor returns to his village to find his missing father. Whilst on his return he finds out of his mothers lifestyle being around Kay Kay Menon who is her brother in law. Shahid is given the truth from Irrfan khan who survived from prison in which Shahid Kapoor’s father was killed in. To seek revenge and achieve his fathers vengeance Shahid Kapoor goes on the verge against his mother but in the process of losing all his loved ones along the way. I felt at times that the film lacked realism at times especially in the snow scenes. We see cold coming out when they breathe. But when they lay in the snow with their bare hands not shivering so this felt like it had no realism. Another point I would like to raise is that the end of the climax battle Shahid kapoor walks away, Kay Kay Menon remained alive with no legs after they were blown off. Main talking point was Irrfan Khan as he was sitting in the car, yes he arranged for tabu to blow herself and others around her. But no significant information was provided of what he would do from now on. I felt all these 3 characters were left hanging and no detail given upon what happens to them now that Shahid Kapoor especially loses everyone he loved. As for the cast, Shahid Kapoor gave an intense performance whilst Shraddha Kapoor played well in her supporting role but seemed as if she was kept low key most of the times as Tabu had more on screen presence. shraddha was effective enough to keep her presence within the audiences mind whilst Tabu gives a strong mothers role. Kay Kay Menon plays the negative character and fits in with his acting persona. Irrfan Khan has a supporting role and brings the suspense as well as the twist in the film. To conclude, I would rate this film 4/5 because of the slow pace majority of the time The film begins to fall but livens. Up again and the negatives in which some aspects were left uncovered and just placed on screen. Yet despite these points I still enjoyed watching another masterpiece by Vishal Bhardwaj and it is something I would recommend even if you haven’t read the Hamlet play, the film really does grip you to this. Expect to see some gruesome killing and attacks as this film is quite explicit with the visuals. But nevertheless, Vishal’s portrayal of Hamlet is strong and a well attempted effort. It leaves you at times amazed at what has been depicted.